Tara Beech explained the problems created by the inconsistency of judicial interpretation of the federal Rehabilitation Act of 1973 as is relates to workers with disabilities who are employed as independent contractors. 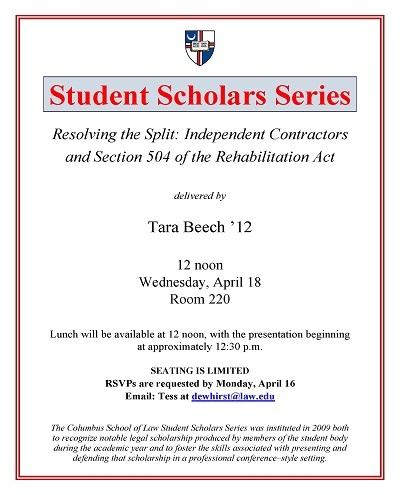 Beech, Tara, "Resolving the Split: Independent Contractors and Section 504 of the Rehabilitation Act" (2012). Student Scholar Series. 12.